How to Apply for Virginia’s Finest? Only Virginia products that meet or exceed quality standards are part of the Virginia's Finest Program. Specific industries recommend, create and update the quality standards. All Virginia's Finest products must be approved by the Virginia's Finest Review Committee. The Committee reviews product packaging and labels to ensure products meet state and federal regulations. 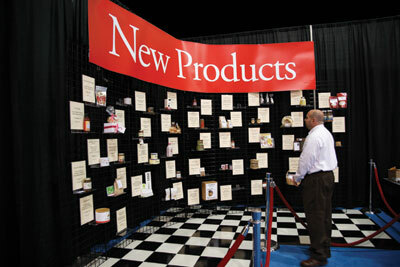 The Committee verifies that products meet or exceed the standards established by the industry. In the case of many products, the company must be inspected by VDACS. Click here to view approved standards for processed food products. If you are a specialty food company, you are required to maintain an annual VDACS inspection certificate. The labeling of food products in inter- and intrastate commerce must be in accordance with applicable state and federal food labeling regulations. VDACS will notify you when your completed application is received. We will schedule your product review date and make arrangements for you to submit your product labels, packages and samples. Please submit any documents, awards, recognitions, photographs and/or essays that you feel are important for your evaluation. Here you will find detailed company information listing Virginia food producers and processors. Many of the products are available wholesale, as well as retail and through mail order. For a printed copy of the directory, call 804.786.3951. View all Virginia's Finest Products. Perhaps you need Virginia Grown Trademark Program information instead? Virginia Grown promotes farm fresh Virginia products, including fruits, vegetables, Christmas trees and nursery items, as well as Virginia farmers’ markets, pick-your-own farms, farm stands, CSA’s and Virginia agritourism. Click “here” to find Virginia Grown program information.